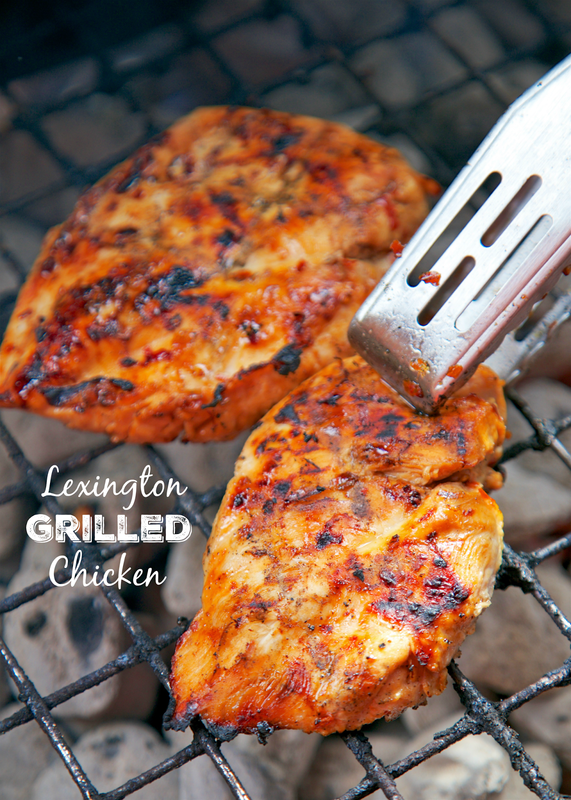 Lexington Grilled Chicken - sweet and tangy grilled chicken! 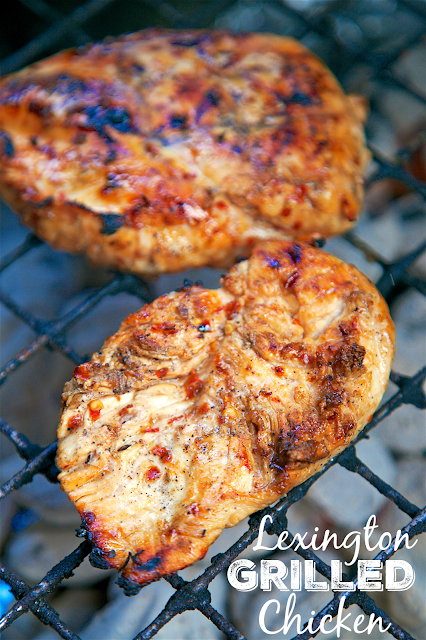 Only 6 ingredients in the marinade - cider vinegar, brown sugar, oil, red pepper flakes, salt and pepper - Perfect for a cookout! Everyone raves about this chicken. There are never any leftovers!! This Lexington Grilled Chicken is a new favorite. It is sweet, spicy and tangy all in one bite. We loved this chicken!!! We've made this two weeks in a row. We just can't get enough of it. Seriously delicious. It is also great reheated. We used in a quesadilla with some cheese, mushrooms and BBQ sauce. Awesome! I almost liked it better in the quesadilla than just by itself. Almost! I have to admit that I was actually a little worried about this marinade. I am not a fan of cider vinegar. I was afraid this would be super vinegary. Thankfully it wasn't. It also wasn't super spicy despite all of the red pepper flakes. This got two thumbs up from us. Give it a try this weekend!! You won't regret it! Whisk together vinegar, sugar, oil, red pepper flakes, salt and black pepper. Pour over chicken and refrigerate at least 1 hour to overnight. Remove chicken from marinade and grill for 12 to 15 minutes, until no longer pink. I've made this for my family a few times and they love it every time!! Just curious why you call this Lexington Grilled Chicken?